Showing 1 - 2 of 2 Products for Coil Boot. 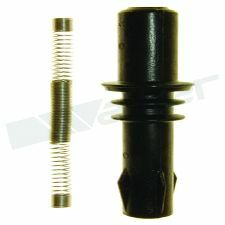 Walker Thunder Core-Ultra Premium Coil on Plug Boot sets are manufactured to meet or exceed OEM Quality. Thunder Core-Ultra Coil on Plug Boot set core/spring and insulation are made with the highest quality material available to produce outstanding performance and are manufactured to meet or exceed all original equipment specifications and test requirements. Replacing defective Coil on Plug Boots with a Walker Thunder Core-Ultra Coil on Plug Boot set will increase fuel economy, improve engine performance, and produce lower emissions.